I am the Senior Pastor of First Baptist Church in Perry, Florida. I have been married for 26 years to Terri and I have a 21 year old son, Jordan who is married to Skyllar and they have our granddaughter Kalliahpe. They live in Okinawa, Japan. Jesus Christ left the task of making disciples to His Church. A disciple is one who intentionally places themselves under the authority of one more experienced, so they may learn from their life and experiences. In context of the Great Commission, a disciple is a person who intentionally places themselves under the teaching of God’s Word with the goal of becoming more like Christ in their actions, attitudes, passions, and priorities. Before a person can place themselves under the authority of Christ for instruction, he/she must first know Him. Knowing Christ and sharing Christ are inextricably linked. Sharing Christ is the responsibility of every believer. Our sharing of Jesus with others is to be a lifestyle rather than an activity. Why should we share our faith with others? Why should we take time to tell others about the message of hope through Jesus? Why should we take time to verbalize the heart-change we have experienced? Let me suggest a few reasons. Lostness is real. Paul wrote in Romans 3:23, “for all have sinned and fall short of the glory of God.” Real people die a real death and will come face-to-face with a real God who will execute a real judgment. That a person’s lostness will place them on negative side of God’s judgment should frighten us. God’s chosen method for the lost to hear the gospel is for the believer to tell them. I don’t know why God left this tremendous task to us. We are so unfaithful. I am certain God could have found a more productive and effective method of gospel delivery than us. Perhaps His doing so has something to do with the fact that God, through Jesus Christ, redeemed us. Only the redeemed can testify of redemption. Those who have been changed by God’s grace are the most obvious ones to communicate that message to others. Someone once cared enough about us to share Christ with us. Do we care enough about the souls of lost friends and family members to tell them of the hope that Jesus Christ offers? I hope we do. Our actions will tell the tale. The Romans placed a specific burden upon the residents of the lands they occupied. A Roman soldier could compel ant male to carry his rucksack or burden for a mile with no option for refusal. As you would imagine this practice caused terrible resentment among the Jews of Jesus’ day toward the Roman government. One of the many things I appreciate about the earthly teachings of Jesus was His use of local customs, traditions, and practices to make spiritual applications. This often shocked and His listeners, but it allowed His point to hit home. Jesus’ teaching in Matthew 5 examines such a teaching and response. To love your neighbor is the first mile – to love your enemy is the second mile. To bless those who bless you is the first mile – to bless those who curse you is the second mile. Praying for those who pray for you is the first mile – praying for those who would use you is the second mile. The first mile is that which is expected of us. It is simply discharging our Christ-given duty. It is our reasonable service. The second mile is more. It is above and beyond the expectation. It is here the difference between Christianity and other religions begins to show. It is the “extra” that causes others to say, “Wait a minute, they don’t have to do this.” If Christians would practice second-mile living at our jobs, at school, and at home our bosses, teachers, friends, and family members would take notice and ask questions about that may lead to gospel conversations. The first mile is congested, but the second mile is not well-traveled. The first mile is gridlock, but the second mile is almost deserted. How do you want to be known? Within every profession, service industry, and organization, there are secret languages understood only by its patrons. For example, walk into a Starbucks and listen to the customers order their favorite drink. You are likely to hear a combination of words and phrases that would lead you to believe aliens had landed from the far side of the moon. My usual Starbucks order sounds like this, “I’ll have a venti bold with no room.” What I am saying to the barista is this, “I will have your largest and strongest coffee, and by the way, I do not need room for cream.” Businesses have created environments that require consumers to learn a language specific to the product they wish to consume. This may or may not be intentional. What they are saying is this, “If you want to be part of our group you need to learn our language.” Sound unfair? Before you answer, think about the church? Before we blame businesses for requiring us to learn a foreign language, let’s look at how the Christian church is at times guilty of the same practice. I believe most would agree that Christians have a specific lingo and vernacular that we are comfortable with. We use phrases and words that may leave the first-time guest in our services scratching their head and asking, “What are they talking about?” We use words such as advent, apostle, disciple, rapture, righteous, sanctification, elect, trinity, covenant, redemption, and salvation much like we would car, home, cheeseburger, chair, or grass. Phrases such as “washed in the blood”, “give your heart to Jesus”, “profession of faith”, and “walk down the aisle” roll off our church-influenced tongues the same as “turn off the light”, “answer the phone”, and “wash the car.” Think of the questions that must run through the mind of the person who has never been in church before: “Is that going to hurt?”, “You’re asking me to do what?”, “Is that legal?” I may be exaggerating a bit, but I think you get my point. As a pastor, I believe the church has a responsibility to remove barriers that keep individuals with no personal relationship with Jesus Christ from coming to know Him. Barriers such as personal preferences, fear, and past hurt are hard enough to overcome without imposing a new language for which Rosetta Stone hasn’t even written software yet. I am becoming increasingly aware the guests in our worship services have no idea what we are talking about at times. What should we do? First, it is important to acknowledge the fact that we are guilty of speaking “church.” Second, I believe every ministry leader should ask this question when communicating: “Will the words I have written and spoken be clearly understood by someone who has never been in church before?” We owe it to the first-time guest, the seeker, and the believer desiring to serve the Lord our commitment to remove the barriers that would hinder them – including our church language. We are often reminded in God’s Word of our call to care for and serve others in the name of Jesus Christ. We are reminded to consider others more than ourselves. This community care was modeled for us in the book of Acts. At First Baptist Church, community ministry is becoming a high priority and the people are demonstrating compassion and generosity. When presented with a ministry opportunity, they rise to the occasion. I challenged our people to invest more in current ministries and take on new challenges. I have not been disappointed. As a result, our community has been the beneficiary of their love, care, and concern. 2018 was a year of firsts for First Baptist. It was a year of wading back into the community ministry pool. Our Back to School Bash and Community Thanksgiving Brunch were new ministries for us this year. The results of these two events were beyond my expectations. We have had a busy and fulfilling 2018. We were able to touch our community in many ways. From mentoring school children to helping families stay in their home, we put others first. From serving as a warming shelter to the homeless to helping sister churches prepare for and recover from Hurricane Michael, we put others first. From providing school supplies for children heading back to school to providing a Thanksgiving meal for our community, we put others first. From giving and going to meet the needs of those in Guatemala to giving the most basic needs of food, clothing, and shelter, we put others first. We have used opportunities such as these to foster relationships and build bridges for gospel conversations. Through it all, I have learned three lessons this year I want to share with you. Lesson #1. It’s not about us. I believe you must be willing to be taken advantage of in order to reach your community. I have often shared with our people that we must give to our community with no expectation of return. Many find this troubling. There are some who believe that every person we help in community ministry should be in church with us the following Sunday. That would be nice. The hard truth is that most of those we serve in our community will not attend First Baptist Church for various reason. If our willingness to serve is taken advantage of, that must be okay with us. In the course of this year’s ministry opportunities, has our giving been taken advantage of? I know it has. In the course of this year’s ministry opportunities, have we suffered offense through the actions and responses of those we were helping? Absolutely. In the end, I have learned that we are only responsible for “why” we do ministry. If we give and serve with the sole motive of being obedient to Christ and being a blessing to our community, we have nothing to worry about. The possibility that we may be taken advantage of is real, but it should not stop us from continuing to serve. Lesson #2: There is tremendous value in planning. Our missions and ministries leaders understand planning and preparedness. This past year I have sat with ministry leaders and our missions team for countless hours ensuring the details were covered in our missions work. Some ministry opportunities require very little planning. Others require a great deal of planning and preparation. It is counterproductive to arrive at a ministry site and not have the food, supplies, and volunteers, needed to serve others effectively and efficiently. While we understand the need for flexibility in ministry, that does not negate the need for prior planning preparedness. Being prepared shows the community you care. Being prepared demonstrates to the recipients of your ministry they were thought of in advance. We were busy this past year with meaningful missions work and I expect the coming year to be filled with even more. I have learned that without proper planning we would have been be far less effective. Lesson #3: Together we are better. 2018 was a year of partnerships. As Southern Baptists, working together is a familiar concept. I wholeheartedly believe we can do more together than we can do alone. We were able to partner with our county to provide cold weather shelter to our homeless population. We began a partnership with our local primary school to provide mentors for children and encouragement for staff. We partnered with our local service agencies and school district to offer a family-friendly back to school event. Tragedy opened the door for meaningful partnerships. In October, Hurricane Michael devastated the panhandle of Florida. In the aftermath, we made the decision to come alongside two congregations and provide help in the form of finances, chain saw and debris removal teams, and construction/renovation teams. Our Florida Baptist Convention was crucial in helping us connect with these congregations. There is no way we could have accomplished any of this on our own. We need others to fulfill our purpose and vision in our community. We desire to come alongside others to help them fulfill theirs as well. I am excited to see what 2019 holds for First Baptist Church. Aristotle once said, “The desire for friendship comes quickly; friendship does not”. Within each one is the desire to share life with others. There is a desire for intimacy. There is a desire to have people in our lives with whom we connect on a deeper level. There is a desire to be part of a community that shares the same beliefs, values, and interests. Building healthy and meaningful friendships requires work. They do not just “happen”. It is real work. When I speak of work, I am not saying that making friends and building lasting friendships is a job. I am saying that it requires giving up time in our already busy lives to the pursuit of friendship. I believe we structure ourselves out of the opportunity to build authentic and lasting friendships. We learn to make friends at an early age. Remember as a child the times of simply “hanging out” together. Kids would spend the night at each other’s homes where they would get to know the family and vice versa. Tree houses, sandlot football, bicycle riding, fishing, and camping were not just ways to pass the time but were avenues to strengthening and deepening friendships. We don’t see too much of this anymore. Social media has taken the world by storm. Facebook, Twitter, Instagram, SnapChat, and other social media sites are growing in popularity among all ages. The very essence of platforms such as these sites is that of friendship and connection. They offer an avenue of keeping up with established friendships and for the establishment of new ones. These sites allow for the constant and immediate answer to the questions, “Where are you and what are you doing?” Having “friends” on Facebook and “followers” on Twitter assists in connection. The only question that must be answered is this one: Are these social networking sites capable of reproducing authentic and genuine friendships in the lives of people? I would have to say no. Aristotle also said, “Close friends share salt together”. I believe there is a great deal of truth in his statement. Close friends share meals together. They sit across from each other and share time, struggles, victories, tears, family, hurts, and laughs. I am not saying that social networking sites are bad. I am not saying that they do not have a purpose. I blog, use Facebook and Twitter too. Is social networking eroding the fabric of genuine authentic friendships? I would say. Social networking sites promote social connectivity. This is not the same as intimate friendships. I see this erosion, or the slow wearing away, of authentic friendships taking place when the preference becomes a computer or smartphone screen instead of a face-to-face conversation. This erosion can be seen when we would rather engage in online chatting instead of in-person communication. Although we hail the progress of technology today, and there have been some good advancements, I believe that making it possible to communicate and never have to sit down face-to-face separates us as people. Instead of saying, “Let’s get together for lunch and talk”, we say “I’ll email you.” Instead of picking up the phone and phone and talking to someone, we text them. If we are not careful, we will forget how to relate to people all together. Again, let me say that I am not against social networking, or technology for that matter. I believe strongly in the value of face-to-face communication. We should make every effort to maintain personal contact with one another. It is invaluable. With the Thanksgiving holiday over, our attention turns to Christmas. Among the many things the Christmas season brings, one is the Lottie Moon Christmas Offering. The LMCO is Southern Baptists’ annual missions offering which supports the work of our missionaries on the international field. This offering aids in keeping our missionaries on the field. They continue to disciple new believers, teach, preach the Gospel, plant churches, and build partnerships within their people groups without the burden of coming state-side to fund raise. Every single dollar collected directly supports our missionaries and the work in their respective countries and among their respective people groups. This offering is especially close to my heart. Since 1996, I have been a part of seven International Mission Board Short-Term Work and Witness Teams, serving alongside three missionary couples in Honduras and Nicaragua. I have witnessed how the money collected through the LMCO is used in every day ministry. Our missionaries are very mindful of the sacrifices believers back home make to support their calling and work. Not only are they mindful of the sacrifices made, they are incredible stewards of the gifts. Our missionaries stretch every penny knowing that someone they have likely never met, in a church they have likely never been to, decided to give in order to help connect the lost to the Gospel through their efforts. Having witnessed this first hand, I can wholeheartedly champion the cause for their support and advocate for the continuance of God’s work around the world through these selfless individuals. For 2018, the International Mission Board has selected Every Church. Every Nation. as the theme for this offering. This is a powerful and challenging. It is not possible for every person to serve on the foreign mission field. In addition to those who would go, there are more needed to pray and give. The LMCO allows churches of all sizes, styles, and structures to be involved in funding our missionaries. Because of our cooperative effort, we are all equal partners in this endeavor. We are called to every nation. There is no one, regardless of their remoteness, that does not deserve to hear the good news of the Gospel. The Gospel must reach them in time. The LMCO allows our resources to be pooled in order to reach every people group from every nation. It is a monumental task. It is a non-negotiable commission. It is a gospel-driven responsibility we all have. Together, we can. We lived in Graceville, Florida while I attended the Florida Baptist Theological College (now the Baptist College of Florida). Graceville is a mostly farming community that boasts a Baptist college. After moving into our apartment and getting ourselves settled, we started the process of looking for a church home. Since I was a college student in a small town with a Baptist college, I figured finding a church to belong to would be easy. I was wrong. We visited four or five different churches. We were new somewhere every Sunday. It was tiring and sometimes frustrating. 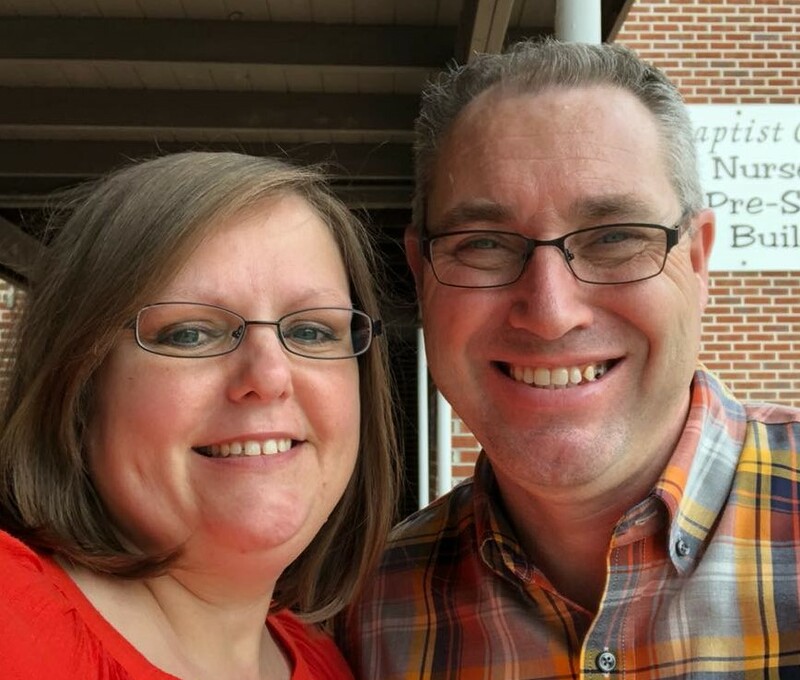 We finally joined Holmes Creek Baptist Church in Chipley and enjoyed our time there. I think back to that time in our family’s life and am thankful. I am thankful that we found a church home to serve in and grow as a young family. I am also thankful for what I learned in that search process. If you have ever been through the process of finding a church to call home, you know how tiring and stressful it can be. As a pastor, I am sympathetic to those seeking a church home. I understand their plight. When I see a guest at church and they declare on a communication care they are actively seeking a church home, I know what they are going through. Think about the process for a minute. You wake up on Sunday morning and get your family dressed and ready to attend a worship service at a church that is totally unfamiliar. Perhaps you were able to find a campus map on their website. Perhaps not. Perhaps there are signs directing you where to go to find restrooms, the nursery, and the information desk. Perhaps not. It is likely you won’t know anyone. Introductions are made, and you tell the story of what brought you to the community. You answer questions about your family, your job, and your past churches. You feel like you’re in a Senate confirmation hearing. Once the service begins, you are officially welcomed from the pulpit. Something is likely said about first-time guests. Hopefully you are NOT asked to awkwardly stand so everyone can make sure you know you’re the new person. You’re likely told what’s happening at the church through some system of announcement. You quickly discern what is important to this church and whether you will fit in or not. During the worship service and sermon, you’re asking the Lord for a peace about whether you should return or not. As you leave, you likely meet some new people who may ask you the same questions you were asked about an hour or so ago. You leave thinking one of two things: “That wasn’t so bad” or “Thank God that’s over.” As you drive home or during lunch somewhere, several critical questions run through your mind. Is this the place the Lord would have me or is this the place I want to be? Does this church share my biblical beliefs and theological convictions? Can the spiritual walk of my family be deepened by attending here? Will this church provide for me the opportunity to utilize my spiritual gifts? Can I positively impact this church, so its mission and purpose will be fulfilled? Stress enters when the above process is repeated multiple times in multiple churches. It can be very tiring being “new” in church every week. It can be tiring investing time and energy, doing your homework, and seeing no immediate result. For these reasons I believe that searching for a church home can be one of the toughest and most important jobs that a believer will do. For many, this process is foreign because they have never had to work this process. Some people are members of the same church their entire life. As our society changes and becomes more transient, this process, or one similar will become common place. Pray for those who are looking for a church home. As members of the body of Christ, we each have a responsibility to make this process a little easier for them. Be intentional in making this process a little less daunting and stressful for those families looking to connect.